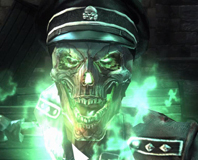 With plenty of zombies, a World War I setting and solid FPS action, nobody can accuse The Lost Company of being out of sync with the latest trends. 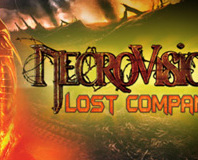 We take a look at the standalone expansion to Necrovision to see if that's a good thing or not, or whether we'd rather be caught dead than playing this. We've been hands-on with the latest game in the long-running IL-2 Sturmovik series of World War 2 arcade flight sims to see how the series holds up after jumping to consoles. 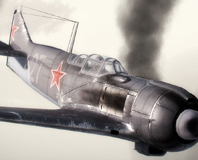 Is IL-2 Sturmovik set to be a console classic too, or is it all going to end in tears? We find out. 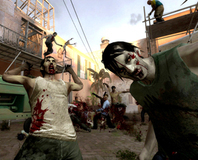 Valve writer Chet Faliszek has dismissed recent claims that L4D2 is racist as pure insanity. 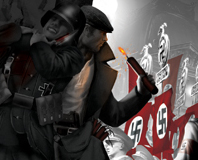 Treyarch announced this weekend that the new Call of Duty game, World at War, would include a controversial new co-op mode. 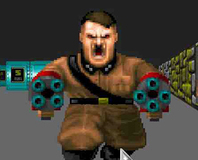 id software has confirmed that the new Wolfenstein game will feature Nazis, but no Hitler. User generated content exposes morons in Forza 2's fanbase as racist car designs continue to be auctioned off via Xbox Live.